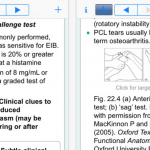 This app has a great selection of journals to review, but it is not particularly useful with its current content and app stability. 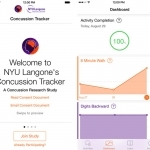 Using the iPhone for evaluating symptoms, researchers have created a ResearchKit concussion study app. 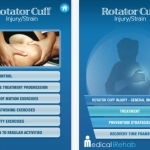 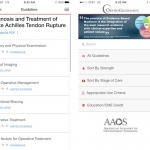 OrthoGuidelines app delivers evidence based clinical practice guidelines and appropriate use criteria for a wide range of orthopedic pathologies. 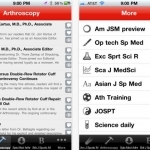 A great app for helping patients understand a common surgery. 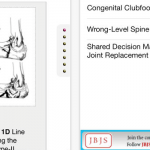 JBJS has introduced a new app which helps synthesize the key topics that students of musculoskeletal medicine need to know.